Here at MedicalAlertComparison.com, we strive to answer all of your questions about medical alert systems. In this section, we literally answer some of the questions we've been asked, and we thought they would be helpful for you. Should I get a medical alert system? If you are over the age of 65 and live alone or with a spouse, the answer is a resounding “yes.” Even if you are a bit younger, it would not be a bad idea. A medical alarm gives you a back-up that is something goes wrong, you can get help at the press of a button. It will also help you maintain the independent life you enjoy so much. Prices vary based on the options you choose, but a basic system that provides 24 hours a day, seven days a week monitoring of your system should run you about $30 per month. Some companies charge for delivery, activation or installation while others do not. You can check out the medical alert reviews page for the policies of each company. Most companies do not require you to sign a contract, and you can cancel with 30 days notice. There are a few companies that do insist on a one-year commitment. What kind of equipment will I get? Each system has a base unit that enables you to access the system and talk to a monitor in the event of an emergency. You will also get at least one medical pendant that you can press if you are not within reach of the button on the base unit. In most cases, you do. It is very simple to do, and the included instructions ensure that you get it right. There are a couple of companies that will send a serviceman to install it. You pay extra for this luxury, by the way. What is the range of the base unit? This varies between companies, but on average you have to be within 600 feet of the base unit in order for your medical pendant to work. However, some companies offer a range of as little as 250 feet, while others offer up to 1000 feet. Can my spouse be monitored at no charge? Yes, although some companies charge for a second medical pendant. Do I need a telephone for the system to work? In most cases, you will need a traditional landline, the type of telephone you get from a phone company. Some systems will work with an Internet-based telephone. The ability to hook up a medical alert system to a cell phone is just not there yet. There are a few companies that uses a GPS-based system that does not require any kind of telephone at all. Can I take the system with me on vacation? Yes. Just notify the company of the phone number where you are staying and hook up the system at the new address the same way you did at home. Who will answer my call? A monitor with some level of medical training will respond to your emergency call. Some companies require their monitors to have 911 certification, while others insist that their monitors be certified EMTs. Again, see our medical alarm reviews page to determine each company’s policy. Do the companies own their own monitoring centers? Some companies do indeed own and operate their own monitoring centers, while others outsource the service to a central monitoring center. Most companies have more than one facility just in case one goes down because of a natural disaster or another unforeseen reason. 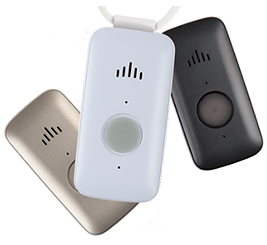 Most companies do not offer fall detection, a system that automatically calls the monitoring sensor when the medical pendant detects a fall. They say the technology is too unreliable. There is one company that disagrees and offers the option, saying it has been able to detect 95% of its clients’ falls. Will Medicare pay for a medical alert system? Absolutely not! There are scammers out there who claim to be able to deliver a medic alarm system to you and have Medicare pay for it. They are just preying on vulnerable seniors. If you get an unsolicited call like this, hang up immediately. By clicking "Get Offer" you authorize Medical Alert Companies to use automated technology to contact you regarding its offers and services via email, SMS texting and/or telephone at the telephone number provided, even if it is a wireless number and even if you have registered with a Do Not Call list. This consent is not required to make a purchase.